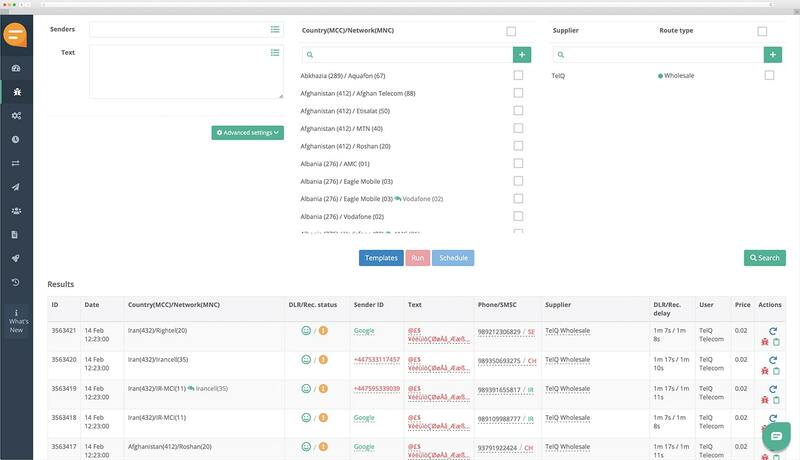 Fake DLRs, Sender ID, Content, SMSC, PDU, UDH, latency, delivery to ported numbers and more by sending tests on real test numbers. Send messages to our test numbers and check whether they actually deliver. 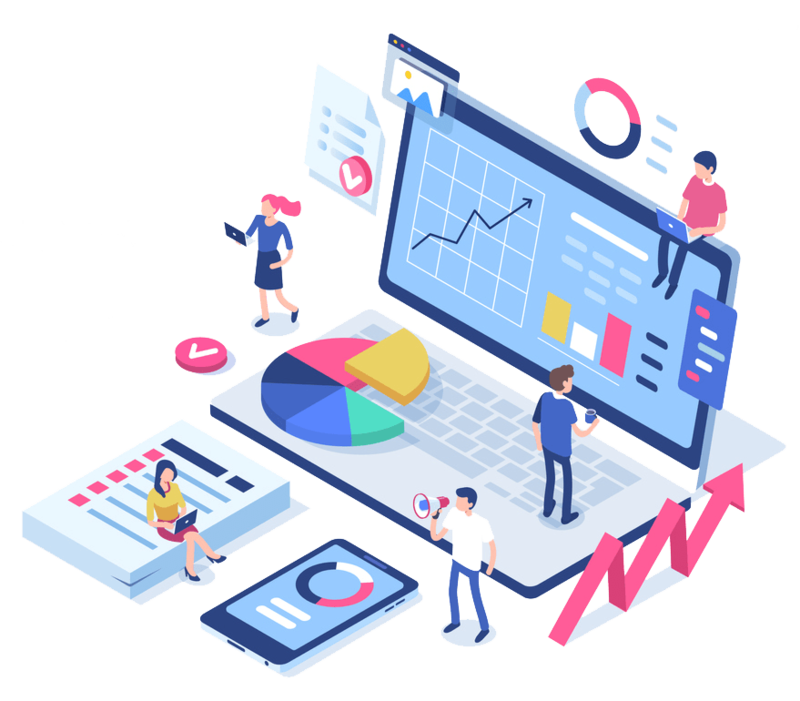 Verify the content of delivered SMS messages. Check the SMSC from which your SMS is being delivered. 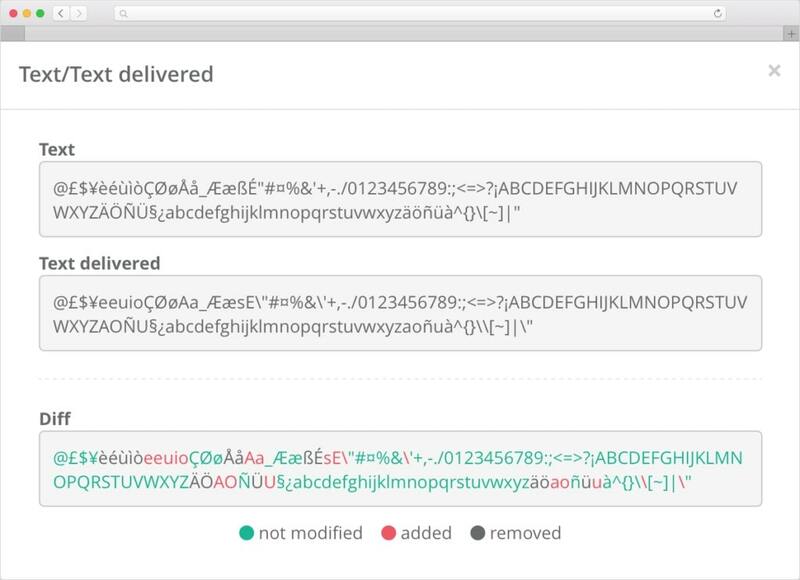 Send messages with custom UDH and check whether they are being delivered correctly. Send messages to our local mobile handset test numbers and check if they are being delivered. 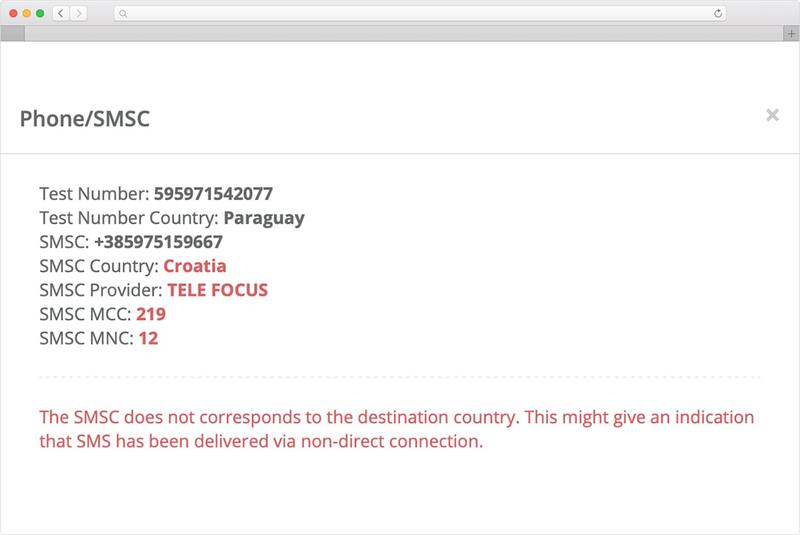 Compare the real receipt status from our handset with the delivery report of your supplier in order to identify fake DLRs and ensure optimal routing of your SMS traffic. 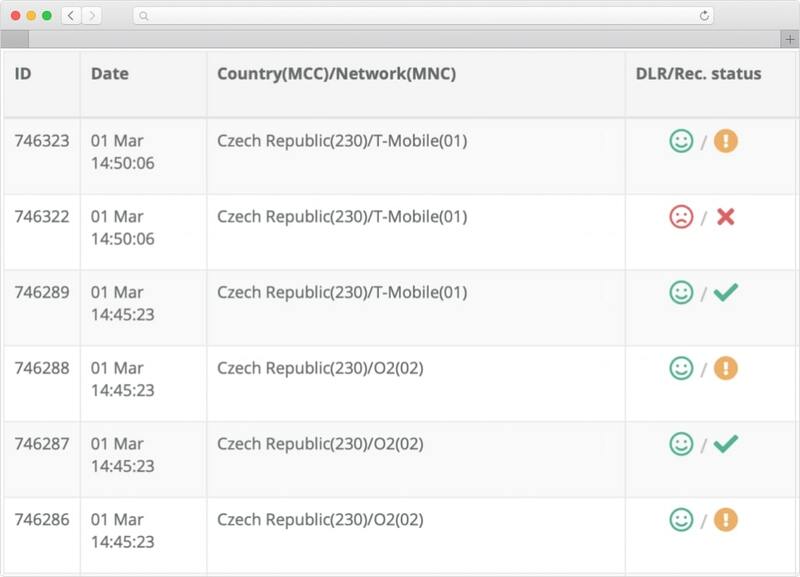 Identify fake DLRs by comparing SMPP status with the status from our testing device. Send tests to ported numbers to see if your supplier correctly supports MNP. Check the real features of your routes and what is actually being delivered on our mobile test number when you send your messages. Check from which Sender ID your SMS are being delivered from. Check if your supplier supports different encodings properly. We can retrieve SMSC information once your test message reaches our testing device. This information can help you to determine the route type and potentially the original provider of the route. We make an SMSC lookup and try to determine the owner of the SMSC. 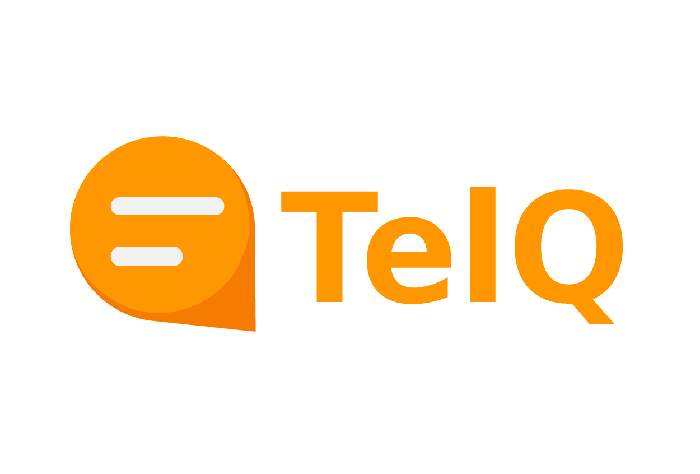 What else can you test with TelQ SMS Testing Platform? This section answers the most frequently asked questions. If you don’t find the answer here, please do not hesitate to contact us.